Dragon Quest VIII 3DS Releasing January 2017 – 3WIREL! 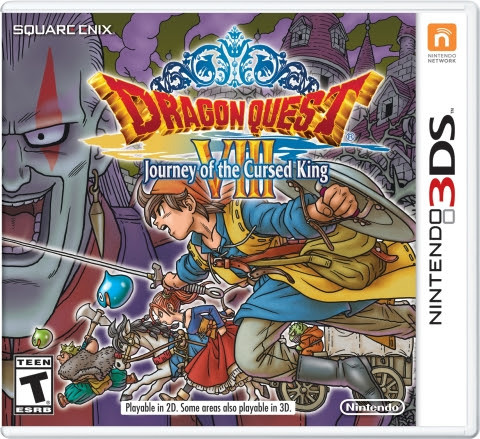 Nintendo and Square Enix announced today that the upcoming title Dragon Quest VIII: Journey of the Cursed King will be releasing on the Nintendo 3DS January 20th. In addition to this news, below is the official press released paired with this announcement. All of these images can be saved to the SD card and shared to other DRAGON QUEST VIII: Journey of the Cursed Kingowners via the StreetPass feature. Once these photos have been shared, other players can give them a thumbs up, and the more of these the image earns, the higher the chance of receiving a new item.